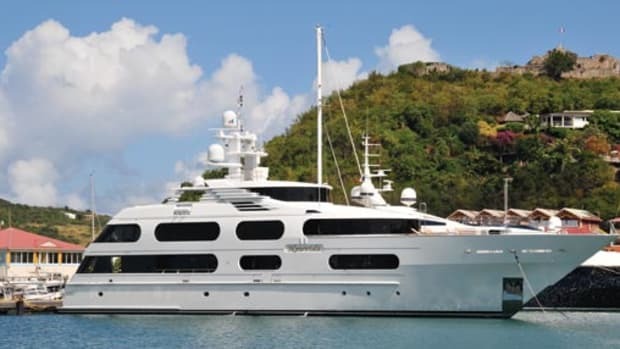 Because the owner wanted to emphasize interior room when he commissioned this yacht, Delta graced her with a nearly 34-foot beam and about 7,500 square feet of living space. 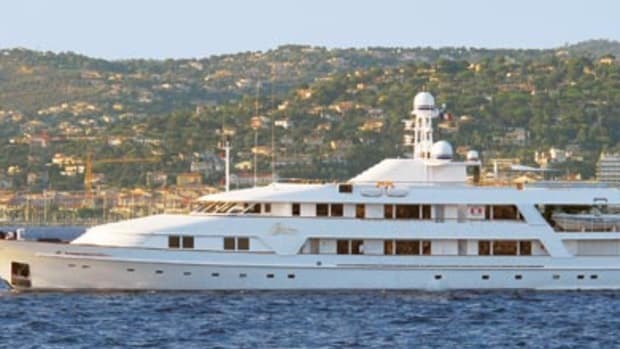 As a result, her profile reveals more enclosed areas than you expect to see aboard a megayacht, but some of them can be indoor-outdoor rooms. The private dining room aft of the owner’s stateroom on the upper deck, for example, features windows that can slide down electro-hydraulically. • to mimic the look of the ocean, the owner chose glass for the countertops and additional surfaces inside.